Dave Horton, Director of Associated Beauty Therapists, considers how Facebook's News Feed changes will affect beauty and hair businesses. You may have heard about Facebook's recent announcement that they are changing what we will see in our News Feed; our feed will be filtered so that only posts, photos and videos from friends or pages we ‘like' the most or interactive with appear. Whilst you may prefer to receive a more curated News Feed personally, have you thought about how it could affect your beauty or hair business? Back in the day when all we used Facebook for was staying in touch with old school friends or snooping on an ex (admit it, we've all done it! ), whatever you posted appeared in your ‘friends' and followers' News Feeds. Nowadays, Facebook has grown to over 2.13 billion monthly active users worldwide (Source: Facebook 21/01/18), and there is simply too much ‘news' for it to post it all to your clients' feeds. So Facebook are making some changes. So, what does this mean for your business' Facebook page? It's all about content. Your aim should be to post content that encourages conversation between your followers and inspires them to react and share. This way, not only will your posts generate awareness of your business, offers or new treatments, but will also help your Page stay at a higher ranking meaning your posts will be seen by more of your followers and encourage new followers to ‘like' your business page. We should not underestimate the effect of someone ‘liking' your business page; this is an endorsement of what you've posted. Your follower is agreeing with what you're saying, and if they share your post, they're endorsing you to the point where they think their friends should know about you. This is the traditional form of ‘word and mouth' marketing taken to a whole new level. What makes a good Facebook business post? The most well-liked content on Facebook is video based; the YouTube video of Despacito was the most popular Facebook post of 2017 with 22.2 million interactions (buzzsumo.com). Now I'm not suggesting you need to create a video with global appeal, but video content is definitely useful. Make mini films of your salon, treatments, and results easily and effectively using your smartphone or tablet. Try using the Boomerang app to create fun, mini films that loop. Invest in a mini tripod to sit your phone or tablet on to improve the quality of your videos. Remember, these are not meant to be feature films – literally just a few seconds of footage can attract your followers to ‘like' or share your post. Always ask your clients' permission and let them know they will be appearing on social media, and be sensitive to what treatments or results you film. Make mini films of your salon, treatments, and results easily and effectively using your smartphone or tablet. Remember to also re-post content from the brands that you work with. 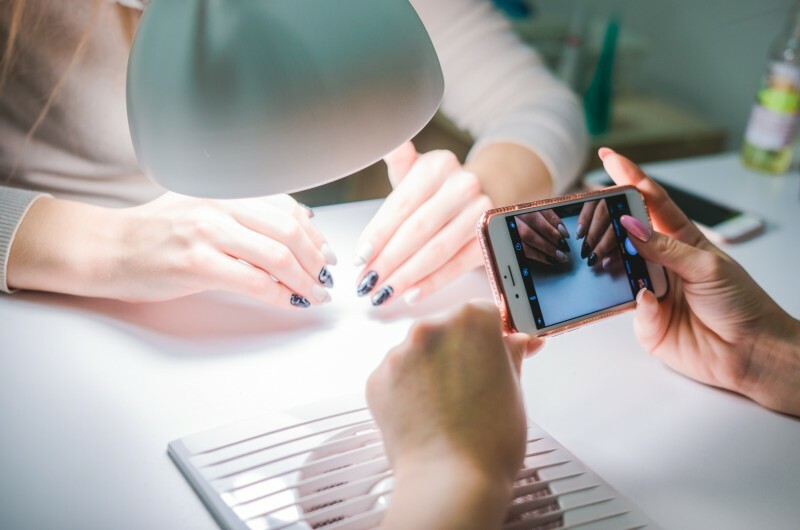 These days, the leading nails, tanning, skincare and hair companies run intensive social media campaigns and there's nothing stopping you from interacting with these and sharing them with your followers – after all, the aim of these campaigns to encourage product sales of which you are a key part of the chain. Brands that use celebrities in their social media promotions are likely to generate more interaction with your own followers too. Don't forget that you are your clients' go-to expert in beauty and hair, and that you have a level of knowledge that most people don't have. Use this knowledge to your benefit by sharing nuggets of information via your Facebook page. As visuals are more attractive to viewers, create graphics to include key information, such as your top tip to extend the length of a manicure, or your emergency tip for treating spots ahead of date night. There are lots of apps available, such as Canva, to help you to do this on your phone, and you don't need a graphic designer or to be especially creative. Remember to add your website address on the graphic, so that when it's shared it's easily recognisable as yours. It will also dissuade people from stealing your graphic to use on their own business page if it's clearly branded. Facebook is a business and it could be said that this new policy will force businesses such as salons into paid-for Facebook advertising. Don't be afraid of this – although social media advertising can seem complex, it can provide you with a fantastic way of reaching clients you haven't been able to before. We all like something for free, but realistically you do need to have a marketing budget and spending some of this via social media is a good option. If you are not sure how to use social media for advertising, do your research. As with any kind of marketing, it's easy to spend money ineffectively if you're not clear what you want to achieve. There are lots of online guides available, and you could attend a workshop or seminar if you need some expert guidance. There are specialist Social Media Consultants who will operate your campaign for you for a fee, just check out their credentials and references, and ask to see examples of campaigns they've run before. Most of us use social media every day and may think of ourselves as experts, but that doesn't mean that we all understand the complexities of social media advertising or how to run a marketing campaign. Businesses with a lazy attitude towards social media will be hurt by Facebook's new algorithm but this needn't be you. Don't be afraid to try new things, see what works, and be creative!